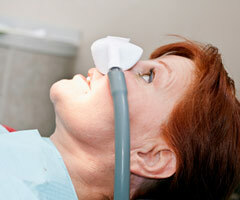 Like any informed consumer, you will want to make sure that your dentist is qualified to provide sedation dentistry. It is a good idea to request information on your dentist's training, credentials, and the techniques that may be used prior to an appointment. Talk to your dentist about your fears and concerns so that together you can decide on the best treatment for you. It's important to remember that dentistry has come a long way. Years of research have been dedicated to studying and finding methods to alleviate pain and anxiety. There are safe and time-tested options available to ensure that you have a positive and painless experience. Step out from under the shadow of fear and into the calm of sedation dentistry. You are not alone and you don't have to be afraid anymore.